Me too :D like staring at him with a wierd look ! Как правильно сказано! Support of all!! 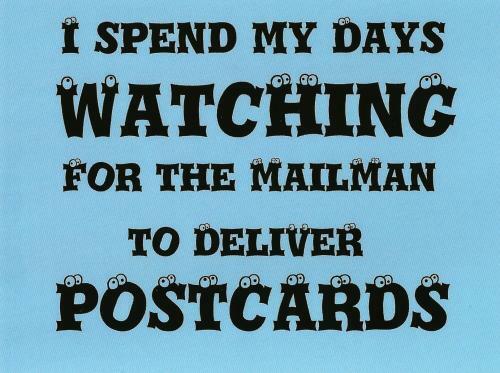 Me too :) And the mailwoman always looks me in a strange way like " but why does she always receive some postcard and letters from all over the world?! lol"
Still waiting! hahaha ... my postman enjoys receiving my postcards as much as I do! I love getting postcards. I do a happy dance every time! !